Former Italian lightheavyweight and heavyweight champ Rocco Mazzola have passed away at the age of 79 in Potenza. Mazzola compiled a 27-10-4 record from 1955 through 1962 and fought for the EBU title in 1959 losing on points to Erich Schoppner in Germany. Mazzola also won and lost against Giulio Rinaldi and was also in against Gustav Scholz but lost on points. 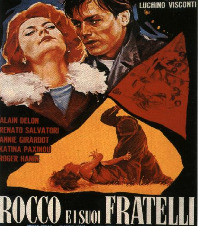 In 1960 Mazzola had a role in the "Rocco e i suoi fratelli" (Rocco and his brothers) movie directed by the great Luchino Visconti and with Alain Delon as main star.